Greetings fellow music video lovers! It’s Andy Gesner and the staff from HIP Video Promo coming back at you with another clip from one of our staff favorites! A few months ago, it was our great pleasure to send you “Infra-Red”, the first video from Meds, the latest album by Placebo. It was a haunting and occasionally chilling clip, but there was also something strangely hopeful about it: in it, revolutionary activity is enacted by an army of ants, who crawl into the bowels of the world’s computer system and re-jigger the screens so that they broadcast seditious messages. Here was a triumph of the organic over the mechanical, and it fit the tone of the track perfectly. And in a sense, it was a strong visual representation of Brian Molko’s preferred themes – he’ll always back the pestilent underdog against the establishment, especially when it looks like there’s a good chance that the vermin might topple a corrupt system. 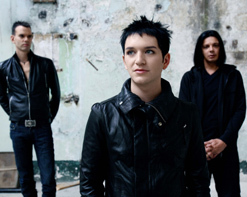 Placebo’s faith in the power of decadence has won the band a fanatic base of supporters, most of whom will agree that represents the best realization yet of the trio’s troubling vision. Certainly it’s the most rocking thing the group has ever recorded. For Meds, Molko and the band have turned up the wattage and matched the nightmarish lyrics with a sound that leaps straight for the listener’s throat. Produced by Dimitri Tikovoi, a man who knows a thing or two about making guitars sound huge, the Placebo six-string attack is simultaneously bludgeoning and nuanced. Molko’s one-of-a-kind sneer matches perfectly with the abrasive guitars and heavy drums: this is a dark-night-of-the-soul album that’ll drag you through the emotional depths and leave you feeling invigorated afterward. Molko’s challenging writing has attracted some big-name supporters, including a pretty famous public endorsement by David Bowie. Michael Stipe appears on Meds, lending his voice (and his vibe) to the plaintive “Broken Promise”. And the title track and second single has been graced by the voice of Alison Mosshart of The Kills. It’s Mosshart who coos the song’s most disturbing lines, and who acts as a twisted interlocutor for the drug-hazy narrator. Directed by David Mould (Embrace, Starsailor, Doves, Magic Numbers), the “Meds” clip is, if anything, even more troubling and destabilizing than the one for “Infra-Red”. Like “Infra-Red”, there’s a wild wish for escape and breakthrough, but while the ants succeed in bending the computer grid to their will, Molko is up against a tougher adversary: his own twisted mind. This is a tour-diary clip, but it’s not like one you’ve ever seen before; instead of showing the glories of the road, it documents the mental deterioration of the singer. No wild parties in his hotel room – instead, the brightly-lit suite is populated by strange hallucinations. The stage is no escape, either. Mould does a pretty good job of documenting the hysterical frenzy of a live Placebo gig, but the focus here isn’t on the screaming fans. Instead, the camera finds a stage microphone, and in Molko’s deteriorating perception, it grows facial features and spits back at him. Humans are visually conflated with animals, smiles twist to an inhuman width, sofas talk, and even Molko’s bandmates grow extra limbs and begin to move in a spectral fashion. As he clings to sanity, distortion threatens to overcome him. Just as the fractured narratives on Meds are perversely engrossing, it’s a fascinating tale to watch, an emotional rubbernecker’s dream. 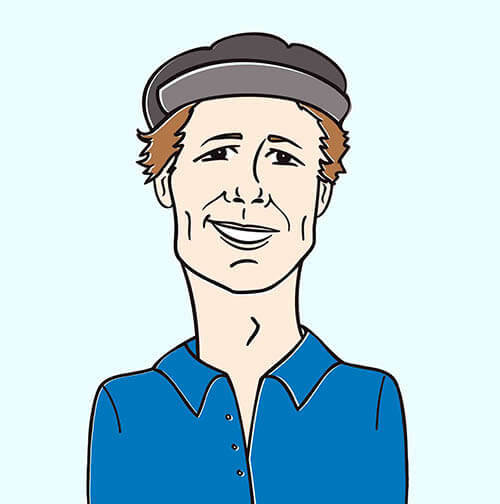 Once again, Krista Crews and the folks at Astralwerks have delivered us another smash hit video and it is our greatest pleasure to be a part of the team to help bring it to you. Meds is a career-defining album for Placebo, and you can be sure that we have plenty of copies on hand for all of your on-air giveaway needs as well as anything else you may need to help spread the word about this phenomenal band. If you need more info call Andy Gesner at 732-613-1779, or email info@HIPVideoPromo.com . You can also visit www.Astralwerks.com, or www.Placebo.co.uk to find out more about Placebo.